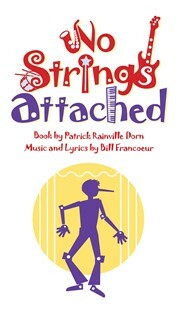 The Fine and Performing Arts Department at the Benjamin Franklin Classical Charter Public School is pleased to announce upcoming performances of “No Strings Attached” to be held at the Horace Mann Middle School located at 224 Oak Street in Franklin, Massachusetts. Performances will be held on Friday, March 1 from 7–9:30 PM and Saturday, March 2 from 2–4:30 PM. The public is invited and welcomed to attend the show! Tickets are priced at $17 for adults and $13 senior citizens and children under ten. Tickets will be sold at the door or an order form will be available for download at www.bfccps.org. In this play-within-a-play, Carl becomes Pinocchio and improvises his way through the story, meeting some familiar characters — including a cricket with an attitude (“I’m Gonna Bug Ya”), the devious fox and cat (“Easy Money”) and the memorable Blues Fairy (“Blues Fairy Mama”) — as well as some new ones. With the help of this eclectic cast, Carl stumbles upon life’s lessons as he’s forced to make important decisions. After a string of poor choices (which makes his nose grow and ultimately leads him to make a donkey of himself), he finally does something good for a change by saving Geppetto from the mouth of a giant shark. The production is under the direction of BFCCPS’s Fine and Performing Arts Director Mr. Christopher Heater, with a cast comprised of 36 students in grades Six through Eight. The cast is supported by a live orchestra and a dedicated 11 member backstage student crew.